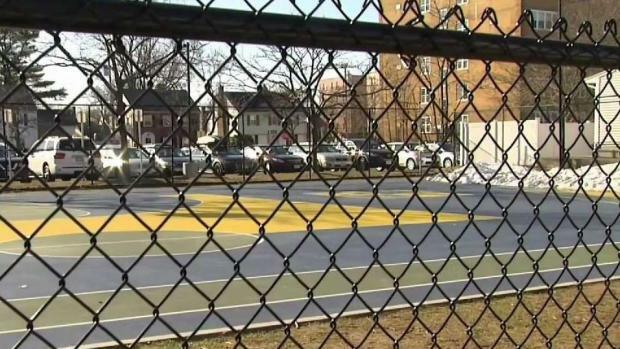 Police and school leaders in Arlington, Massachusetts met Wednesday after two young girls were stuck by a needle while on a school playground. School and local officials in a Massachusetts town met Wednesday to talk about what to do going forward after two young girls were stuck by a used and discarded syringe while playing outside of a middle school. Arlington Public Schools Superintendent Dr. Kathleen Bodie said that along with town officials, the schools plan to educate students on the dangers of hypodermic needles after the two girls, ages 5 and 7, were stuck by the used needle outside Gibbs Middle School during an after-school program on Tuesday afternoon. "We need to educate our students about what to do when they see a needle or needles stick or something else of concern — that they shouldn't pick it up," Bodie said at Wednesday news conference. Bodie said there needs to be age-appropriate education for students from Kindergarten through high school. 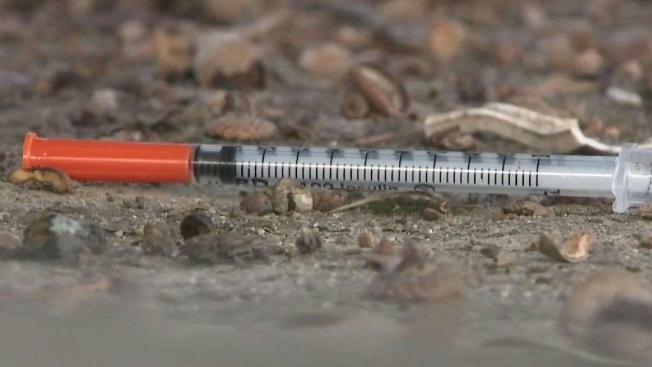 School and local officials in Arlington, Massachusetts, met Wednesday to talk about what to do going forward after two young girls were stuck by a used and discarded syringe while playing outside Tuesday afternoon. "We have immediately begun age-appropriate needle safety for our students," Bodie said. Officials say one of the girls picked up the needle and was stuck in the hand, while the other removed the syringe and was stuck after. Parents who were dropping their children off at Gibbs Middle School on Wednesday morning said they were concerned and had talked to their children about what had happened, including Yanina Livingstone. "But I'm definitely nervous for parents who come here with 2-year-olds, 3-year-olds and 4-year-olds," Livingstone said. However, not all parents shared that level of concern. "The fact that there was a needle found here, needles can be found anywhere," parent Ari Marcovski said. 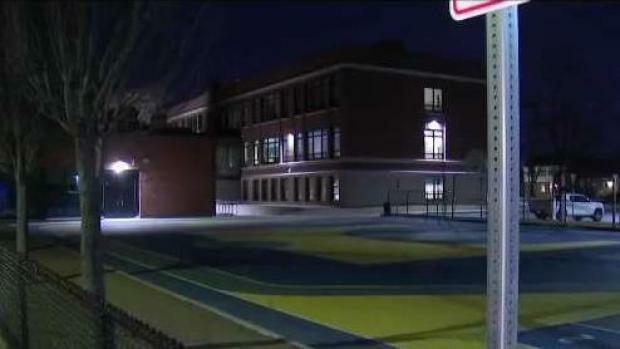 School and town officials in Arlington, Massachusetts are going to hold a meeting to discuss an incident in which two young girls got stuck by a used syringe outside a middle school. Bodie said Gibbs Middle School property and other school properties were checked Wednesday morning by staff for any dangerous trash and found nothing, "but our facilities professionals will continue to aggressively search going forward." Arlington's police chief said it's a common occurrence for someone to call the department and ask for found needle disposal and remind residents to call police if it happens to them. Authorities are testing the needle to see if anything was in it. The results have not yet come back. Both girls are said to be doing fine. "We stand to support the families as they deal with this and recover from this," said Bodie.